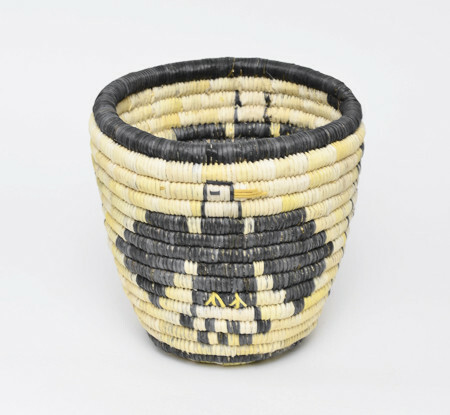 Coiled pictorial basket with eagle designs by Margaret Kootswatewa (Hopi) Margaret Kootswatewa was born in 1956 and is from Second Mesa on the Hopi Reservation in northern Arizona. She is known for her precise pictorial designs. She still practices the laborious task of harvesting and preparing her own weaving materials. 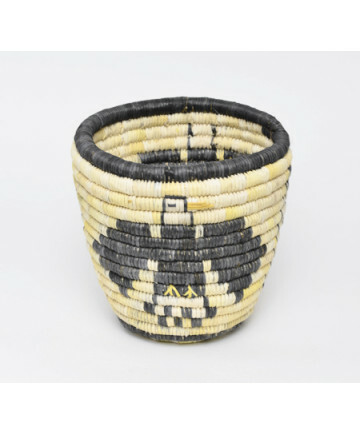 This basket measures 6 1/2 inches tall by 6 inches in diameter.